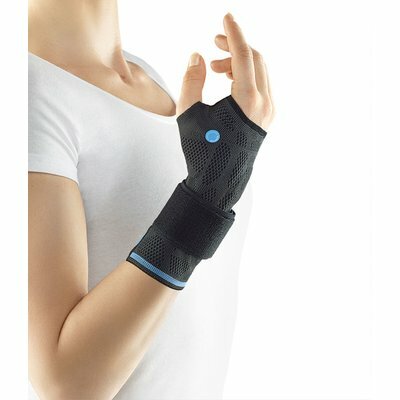 Wrist Brace ofa Dynamics Plus - The intelligent orthopedic care. The Dynamics Plus wrist support for your wrists by their compressive effect and an additional gain of plastic. About an elastic band, the pressure can be adjusted individually. The most stretchable Arthroflex® comfort zone makes putting the drum. 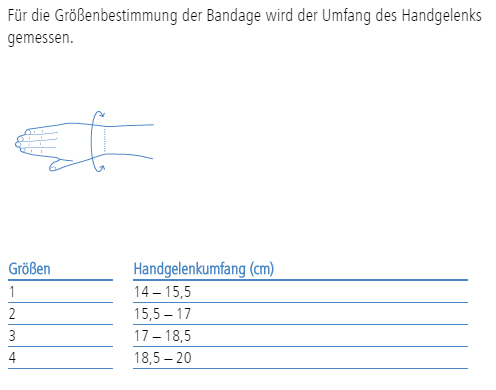 For the Dynamics Plus Handgelenkbandage a Arthroflex® comfort zone was incorporated on the thumb side of the shaft. 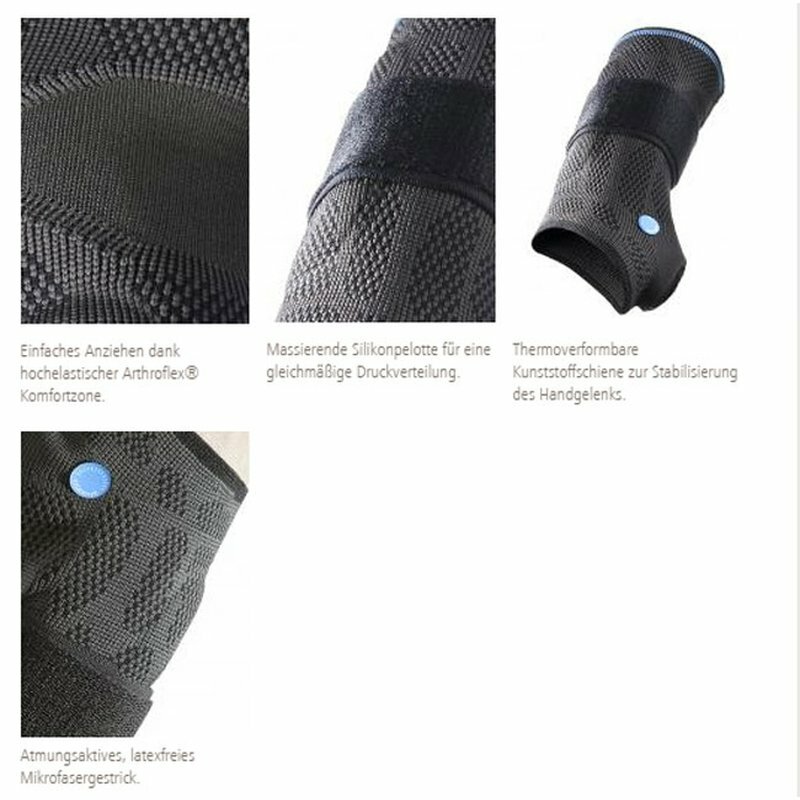 Their special highly elastic knitted fabric is at this point when tightening generous back, so that the hand can slide into the bandage problems. A volar splint from thermoplastic deformable plastic, in conjunction with an elastic Velcro strap for effective stabilization of the wrist. In addition, the integrated pad massaging the hinge region and relieves the ulna capitula from compression bandage. The bandage is rounded off by reduced-pressure, elastic overlocked end edges, in combination with the breathable, latex-free microfiber material for a comfortable fit.